Arrive at Baku Heydar Aliyev International Airport and meet our local representative at the pick-up point. Get a hassle-free transfer to your booked hotel in Baku and complete the check-in process. Have a comfortable stay at your accommodation and take some time out to wander around the city to admire its beauty and soak in its culture. 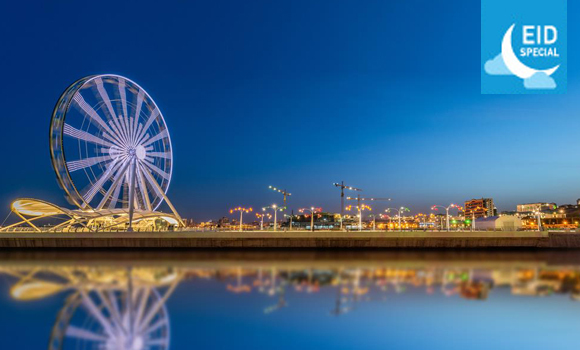 Proceed for Baku city tour. Guide and a driver meet the guests in the lobby of the hotel. Both the tour guide and driver accompany guests to the memorial place on the mountain and have an amazing sightseeing tour of Baku city. After that guests will be taken to the Old City. 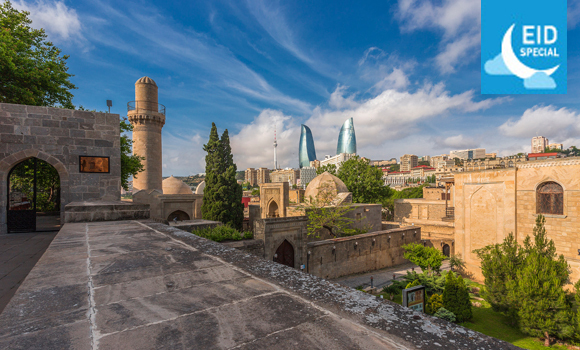 The Old City of Baku is protected with the Preservation walls remained since the VI century. The guide introduces the Old City’s history to the guests while they are travelling. The historical places such as Karvansaray, Maiden Tower, old labyrinth streets, mosques, souvenir shops are showed by the guide during the Old city tour. The guests then visit Azerbaijani historical museum Shirvanshah Palace which is among the monuments with the Old City. In the mentioned museum tourists will enter throne room, shah’s burial place, mosque, tomb, and shah’s bathroom And further the tourists go to Nizami street which has brand shops and boutiques, as well as, the old architecturally well-designed buildings. The tour will finish at 6.00 pm. the tourists might want to do shopping, the guide and the driver will be waiting for them till 6.00 pm and drop them off to the hotel if wanted. Proceed for Gabala tour. The driver will pick up the tourists from the hotel, and head to explore beautiful nature of the city. The tourists can ask the driver to stop the car at any place they want for taking pictures of the beauty they see around. Gabala is the ancient capital of Caucasian Albania. Here the tourists visit Rope line which has existed 4 stations around 2000 meters. The tourists enjoy the gorgeous landscape of the Nohur lake, as well as the Waterfall named Yeddi Gozal (Seven Beauties). There are seven steps to go up the mountain. Although the waterfall is hard to climb, it is worth visiting. The tourists enjoy climbing the Mountain Tufandag. the tour will finish at 6.00 pm. Overnight stay at the hotel in Baku. Board your return flight from Baku International Airport and cherish fond memories of your trip.